Tabernacle Methodist Episcopal Church organized February 27, 1860. The first church at Third and Vine Streets was dedicated November 1, 1860. In 1867 a larger church was founded to be needed and the brick building at Third and Pearl Streets was erected and dedicated in November of 1870. This church was so badly damaged by the tornado (called a cyclone in the parlance of the day) which struck Camden in August 3, 1885 that it was torn down and a brown stone building was erected. The auditorium of this structure was dedicated on October 16, 1887. The Tabernacle Methodist Episcopal Church and the Centenary Methodist Episcopal Church consolidated in June of 1924 under the name Centenary-Tabernacle Methodist Episcopal Church, using the edifice at Fifth and Cooper Streets. In 1856 a few members of the Third Street Methodist Episcopal Church of Camden held devotional meetings in a grove at Coopers Point, and then organized the Tabernacle Methodist Episcopal Church. In 1860 a chapel was built on Third Street, below Vine, in which regular meetings were held. A minister was appointed by the New Jersey Conference. The society grew rapidly in numbers, and in 1867 the structure at the northeast corner of Third Street and Pearl was built. The debt on the church for a time was a heavy load. However, through perseverance and zealous work, it was greatly diminished. In this church building the society continued to worship until August 3, 1885. On that day the cyclone that did such a vast amount of damage in Camden and Port Richmond, Philadelphia, unroofed the church building and weakened the walls. It was then decided to take down what remained of the old building and in its place construct a new one John B. Betts, a builder, began the work in September, under a contract to erect the present church with a seating capacity of eleven hundred. The south and west sides are of stone and the north and east sides of brick, with the main audience-room on second floor. The cost of the church and furniture was about thirty-two thousand dollars, and it is a beautiful and attractive building. It was dedicated with imposing ceremonies during the summer of 1886. The church membership numbers about six hundred. The Sunday school, of which Walter M. Patton has been superintendent for twelve years, has thirty-five teachers and six hundred scholars. Tabernacle Church is the only Methodist Episcopal Church in Camden north of Cooper Street, and is the only free-seating church of any denomination north of Bridge Avenue. The following is a list of the ministers who have been stationed at this church by the New Jersey Conference since its organization: Revs. W. S. Barnart, L. La Rue, James White, J. H. Stockton, J. Hickman, S.E. Post, O.K. Fleming, G. K. Morris, E. Hewett, G. S. Sykes, J. S. Heisler and J. Y. Dobbins. In June of 1924 Tabernacle Methodist Episcopal Church merged with Centenary Methodist Episcopal Church at 115 North 5th Street, the corner of 5th and Cooper Streets. The new congregation was called Centenary-Tabernacle Methodist Episcopal Church. The property at 3rd and Pearl Streets was acquired and utilized in the construction of the Delaware River Bridge. This bridge is known in our times as the Benjamin Franklin Bridge. Tabernacle was the fourth Methodist Episcopal Church erected in Camden, N. J. In 1859, Camden had but a small population, and the northern part of the city had been but sparsely settled. None of the streets running north and south were built up to Vine street, except Second street, and from east to west above the Camden and Atlantic Railroad were waving fields of corn. North Third street was built up in a few places above Penn street, and the roadway was merely a wagon track about two feet below the present grade. North Fourth street had not been laid out above Penn, and the open lots were the base ball grounds of that generation. However, in the northeast corner of the city, known then and now as Cooper's Point, houses were continually going up to meet the demands of the ship carpenters and those engaged in similar occupations, and as the population increased, some of the good brethren of the First Methodist Episcopal Church, then known as Third Street, took upon themselves the delightful duty of gathering together the children upon Sunday afternoon, and under the waving willows by the banks of the Delaware, the first mission Sunday School of Camden, was organized. Foremost among the workers in this mission Sunday School, was a local preacher named Reily Barrett, and he was ably assisted by Benjamin F. Day, Esq., a well-known ¦shipbuilder at that time. The Sunday School under the willows was a success and an inspiration to all concerned, and they sang their hymns and studied their Bibles out in the open air as long as the weather permitted, and then as the fall and winter came, they met in the homes of the different brethren, but were greatly hindered for lack of accommodation. The brethren of Cooper's Point also felt the need of some convenient place of worship, as there was no Methodist Church this side of Federal street. The matter was informally talked over upon various occasions, and in the beginning of 1860, Joseph W. Cooper, Esq., offered these people some lots at the corner of Third and Vine streets, and on the evening of the 16th of February, 1860, four persons: Riley Barrett, Amasa B. Mathis, Samuel T. Nicholson and Benjamin F. Day, held a meeting under the mulberry tree, which stood at the corner of Third and Vine streets, and formed a society, adopting the name of Tabernacle Methodist Episcopal Church, of Camden, N. J. Riley Barrett was Chairman of this first meeting. The meeting adjourned to meet at the house of Amasa B. Mathis, at the corner of York and Point streets, on Monday evening, February 27th, at 7.30, for the purpose of electing a Board of Trustees for the Tabernacle Methodist Episcopal Church. The notices for the Trustee Election were publicly posted, one of them on the old mulberry tree under which this meeting was held. At the time appointed, February 27th, the Trustee Election was held at the house of Amasa B. Mathis, with the Rev. E. H. Stokes, pastor of the Third Street Church, as Chairman, and Nathan T. Mulliner, as Secretary. Rev. E. H. Stokes opened the meeting with prayer. The following brethren were elected as trustees for the ensuing year: Riley Barrett, Samuel T. Nicholson, Amasa B. Mathis, J. C. De La Cour, Benjamin F. Day, Charles L. Porter and John B. Thompson. At the adjournment of the meeting, the trustees met and organized, electing Riley Barrett as President, Charles L. Porter, Secretary, and Benjamin F. Day, Treasurer. The first regular meeting of the Board of Trustees was held at the house of Riley Barrett, President of the Board, on the 26th of March, 1860. At that time, the certificate of incorporation was received from the Clerk of the Court of Common Pleas, of the County of Camden, State of New Jersey. The said certificate was then filed with the papers of the church. At the same meeting Brothers Riley Barrett and Samuel T. Nicholson were appointed a committee to attend to getting a deed for the lot of ground mentioned in the certificate of incorporation. The next meeting of the Board was held on the 3rd of April. The lots having been agreed upon, the trustees decided to build a church thirty feet front by sixty feet deep. This was afterward changed to thirty-two feet front. Another meeting was held on April 6th, at which a Building Committee was appointed of three members: C. L. Porter, J. B. Thompson and B. F. Day. This Committee was authorized to purchase stone and make arrangements for laying the foundation. On the 17th of April, the lots were reported to have been surveyed — five lots aggregating 100 feet on Vine street and 150 feet on Third street. At this meeting, Brother Barrett was authorized to sign a bond and mortgage for the lots. The outlook was now so propitious that it was decided to lay the corner-stone on the first of May, at 3.00 P. M. Rev. Samuel Y. Monroe, pastor of Third Street Church, was authorized to secure suitable speakers for the occasion. To guard this house of prayer and praise." which was sung by the congregation. Prayer was then offered by Rev. C. W. Heisler. After the preliminary exercises, the Rev. J. W. Jackson delivered an address of about an hour's length, so interesting in its character that, notwithstanding the audience was compelled to stand, at the same time being exposed to the heat of the sun, great attention was paid and the time was seemingly short. Rev. E. H. Stokes urged a liberal collection, and Mr. Bailey related an anecdote, calculated to stir the heart to noble deeds. A collection was taken and two hundred and fifty dollars subscribed, and about ten dollars put in the baskets. The ceremony of laying the cornerstone was then performed, and the box deposited therein. The contents of the box were as follows: Bible, Discipline, copy of General Rules, Hymn Book, Christian Advocate and Journal, Minutes of New Jersey Annual Conference, Church Organization Papers and Act of Incorporation, Names of Officers of Camden City and Philadelphia Newspapers. The exercises were closed by singing and prayer. into the same image from glory to glory even as by the Spirit of the Lord." — II Corinthians, 3:18. In the evening. Rev. A. Cookman preached on "Thy Kingdom Come" — Matthew 6 :10. The services were then announced to be continued on the following Sabbath, Nov. 4th, at which time Dr. Robinson preached. 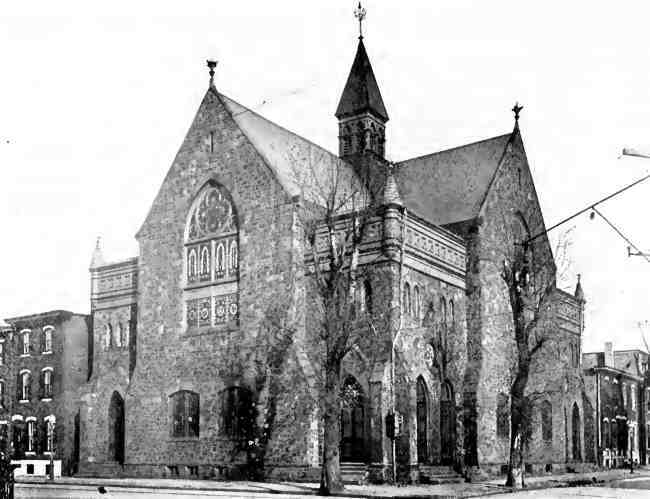 During the fall and winter, a protracted effort was held in connection with Third Street Church. Many were the happy seasons enjoyed by the children of God in the newly consecrated temple, and the souls created anew in Christ Jesus were not a few. About a hundred persons professed conversion during the revival. 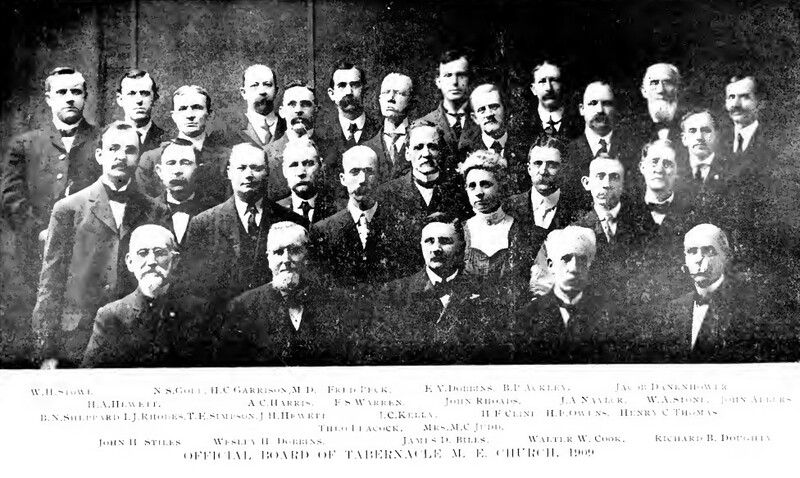 A class was then established at Tabernacle, with George Humes as leader; the class being connected in membership to Third Street Church. As the session of the New Jersey Annual Conference drew near, the brethren living in the northern part of Camden, thought it well to try to get a pastor sent them, consequently, consultations were held, subscription papers were circulated and after obtaining pledges for about four hundred and seventy- five dollars, the Bishop with his Cabinet, so far listened to them as to set off Brother Humes' class from Third Street, and appoint Rev. W. S. Barnart to the charge. The persons belonging to the Society, and hence the ones starting oft with the new church were: Members — William Crim, Henry Cheesman, Abigail Cheesman, George Humes, George Hirst, Rebecca Hirst, Amasa B. Mathis, Samuel T. Nicholson Reuben Parvin, Kezia Parvin, Jane Shourds, Mary E. Shaw, Samuel Townsend, Elizabeth Townsend. Probationers — Joseph Moore, Angelina Moore, Rebecca Moore, Arabella Ballinger, Amanda Hall, Lydia Wright, Anna Beckett, John Arritt, Rebecca Carter, Margaret Risley, Rachel J. Waggoner. These have all passed away, and of the children who attended that first Sunday School only three are now known to be members of the Tabernacle Church : Penrose W. Hirst, Charles S. Wolverton and Richard B. Doughty. The Tabernacle Quarterly Conference was organized on April 10th, 1861. The meeting was held at the home of Henry B. Cheesman, and was opened with prayer by A. K. Street, Presiding Elder. W. S. Barnart, preacher in charge, also George Humes, the class leader, were present. The pastor appointed Henry B. Cheesman as leader of the Tuesday night class meeting about to be organized. The following were elected as stewards : Benjamin F. Day, John Ambruster, Samuel T. Nicholson, Amasa B. Mathis and Jacob Danenhower, all of whom were present. S. T. Nicholson was appointed Recording Steward. The pastor's salary was fixed at four hundred dollars per year. The secretary of this Quarterly Conference was Jacob Danenhower, who is the only member of this first official body now living. The first leaders' and stewards' meeting was held April 18th, 1861, when they met at the home of Amasa B. Mathis. The next session of the Quarterly Conference was held June 27th, 1861, when John Ambruster was appointed District Steward. The report of the Sunday School from the preacher in charge, showed the following: Number of schools, 1; officers and teachers, 26; scholars, 134; Bible classes, 4. At the last Quarterly Conference, the pastor reported the expenses of the school for the year to have been forty-six dollars. The report at the Conference of 1862 showed forty-seven members, church property, $4,000. The next pastor was Rev. Levi Larew. The first Quarterly Conference, June 6th, 1862, estimated the salary at four hundred dollars, and voted to give the pastor a donation visit some time during the year. Rev. Levi Larew was appointed for the second year. The committee on salary reported four hundred and fifty dollars for this Conference year, the preacher to pay his own house rent, but the pastor received $510.00. The membership at this time was eighty in number. 1864 Rev. 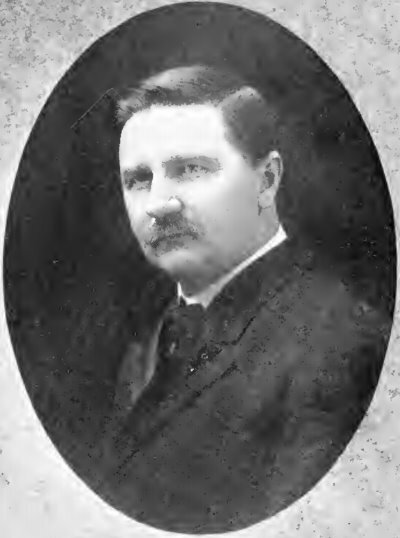 J. H. Stockton was appointed pastor; the same year. S. Y. Monroe was made Presiding Elder of the Camden District. This year the First Quarterly Conference estimated the pastor's salary five hundred dollars and house rent. The report at this Quarterly Conference showed two Sunday schools, with Jacob Danenhower as superintendent of the Tabernacle school and J. B. Thompson, superintendent of the Thompson school. During this year, there was a change in the Presiding Eldership, J. B. Dobbins taking the place of S. Y. Monroe. 1865 Rev. J. H. Stockton returned to the charge, and the salary was made six hundred dollars and house rent. At the Third Quarterly Conference, held November 9th, 1865, a committee was appointed to ascertain the practicability of obtaining a parcel or lot of ground, for the site of a new church. On motion, Brothers J. W. Carter, Jacob Danenhower, E. England, A. B. Mathis and the pastor were appointed the committee. 1866 About this time, the question of building a new church was being seriously considered, and at a meeting held on February 22nd, 1866, the pastor, Rev. 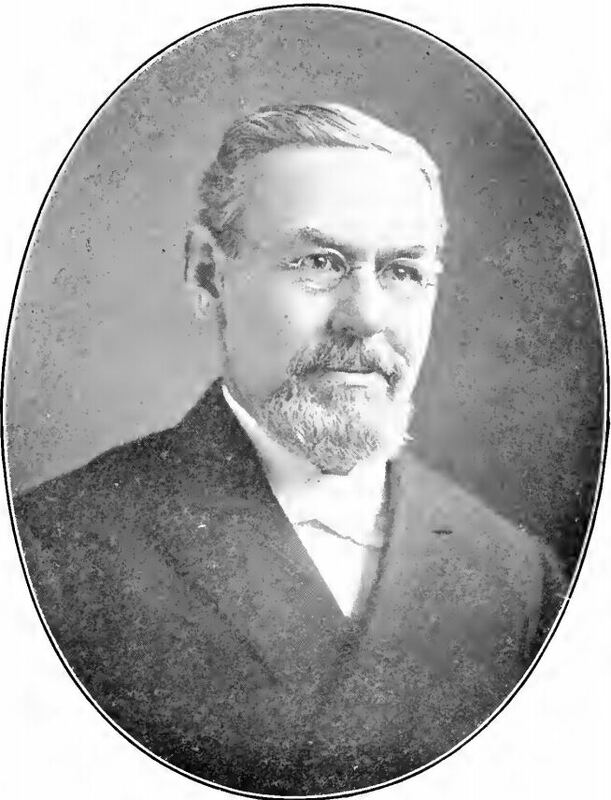 J. H. Stockton, was authorized to call a meeting of the entire male membership, to take into consideration the advisability of building a new church. On the 1st of March 1866, the trustees were instructed to purchase a suitable piece of ground, and to build said house of worship as soon as a sufficient amount of money should be subscribed to warrant them to do so, as the Church was greatly embarrassed in consequence of the want of a suitable house of worship in the proper place. The membership at the close of Rev. J. H. Stockton's term was 134. At the Conference this year, Rev. James White was appointed pastor. At the Third Quarterly Conference, November 8th, 1866, J. W. Carter, B. F. Day and John M. Hall, were appointed a committee to see about the purchase of a lot of ground, on which to erect a new church, and to make inquiry about the sale of the present church. 1867 On January 4th, 1867, it was decided to purchase the lots at the northeast corner of Third and Pearl streets, the committee having previously considered with some favor the location at the northwest comer of Fourth and Linden. Pastor White received $750 salary, and left a membership of 150. At a meeting held on the 29th of April, it was resolved to erect a temporary building for the use of the Church, and a Mr. Gaskel, who owned lots, gave permission to the trustees to erect a temporary wooden structure upon his property. This building was known as the Plank Church, or "Wigwam," and stood near the site of the present church. The congregation worshipped in the "Wigwam" until the completion of the Lecture Room of the new church edifice. This year, Rev. Jefferson Lewis was appointed Presiding Elder of the Camden District, and John W. Hickman, pastor of Tabernacle. The pastor's salary was estimated at $1,000. Resolved, That we will cherish his memory as a brother beloved, and as a devoted and long-tried friend to the Cause of God, and to the advancement of Methodism in Camden and the regions round about. Resolved, secondly, That while we cherish his memory as a father in the Gospel, we will, as sons, strive to emulate his virtues and imitate his toils in promoting the blessed Cause he loved so well. Resolved, thirdly. That we deeply sympathize with his aged widow and devoted children in their loss of an affectionate husband and father, though we are more than satisfied that our loss is his infinite gain. Resolved, fourthly. That the Secretary be instructed to furnish a copy of the foregoing preamble and resolutions to the family of the deceased. 1869 Rev. John W. Hickman was appointed pastor for the third year. A commentary on the discipline of the Church at that time, may be found in the minutes of the second Quarterly Conference of this year, in which the names of six persons are recorded as having for a long time absented themselves from the means of grace. The preacher in charge was authorized to erase their names as withdrawn from the church. The records show that in the years following, others were dropped from the church roll for the same cause. Tabernacle, the third organization from Third Street, enclosed their new house of worship, 80 X 60, during the winter, and finished the lecture room, and now occupy it. They expect to finish the audience room the approaching summer. The brethren and sisters of this charge, with their faithful pastor, have worked, all worked, and worked well, under many discouragements. 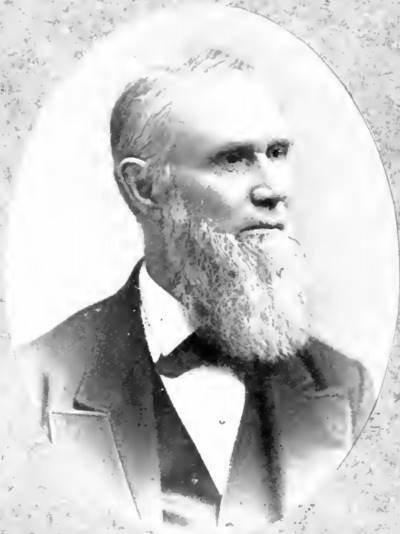 1870 At the Conference of 1870, J. W. Hickman closed his three years' pastorate with two hundred and twenty members. The church property was valued at $146.00, the same as the year previous, the congregation having worshipped during the year in the lecture room, as the main audience room had not been completed. Samuel E. Post was the next pastor of the church. To him fell the task of completing the church and carrying the organization through three years of struggle with debt. He found a debt of nearly $10,000. All but $1,800 of which, covered by mortgage, was in the hands of the sheriff. The pastor collected and paid over, large sums of money during his three years' ministry. The church was completed and dedicated in November. 1870. Upon the advice of Bishop Simpson, the services of B. F. Ives, D. D., of Auburn, New York, who was a great money raiser, were secured. Dr. Ives preached both morning and evening on the day of dedication and managed the finance. Enough money was subscribed during the day, to cover the entire debt, but many of the subscriptions were never paid. Mr. Post was paid $1200 a year salary. He was preacher and business manager both for the struggling society. At the close of his pastorate, there were 256 members. The church property was valued at $30,000- probably a liberal estimate, with a debt of $11,000. The material of the Plank Church was used in building the Brick Church. It was built of planks so that they might be used for joists in the new building. In the interval between the tearing down of this wooden building and the completion of the lecture room in the new building the congregation worshipped in the Court House. The next pastor was Rev. C. K. Fleming, who served one year, when the report shows 210 members and $13,000 debt. 1874 Rev. Geo. K. Morris was appointed pastor, and salary estimated $1,500. During his pastorate, the membership Vv-as greatly increased and the debt reduced. There was a great revival in 1876, and 134 persons were received on probation. At the close of his term, the membership numbered 368. 1877 In 1877, Rev. Edmund Hewitt was appointed to the charge, and enjoyed three successful years. There was another great revival in 1879, and 138 people were taken in on probation. The membership in his last report numbered 425. 1880 In 1880, Rev. Geo. S. Sykes was appointed and served two years, leaving 392 members. 1882 In 1882, Rev. John S. Heisler was appointed pastor. Under his administration the building was greatly improved and a new parsonage was purchased during the first year of his pastorate. There were a number of conversions each year of his pastorate — 80 probationers were received the first year. The salary was $1,600. At the end of his three years there were 490 members and the debt at this time was $13,772. The Society also owned a church building on State street, used as a mission. "The tornado of August 3d, left the Tabernacle Church of Camden so great a wreck that rebuilding was considered unsafe. Inspired by their pastor, the brethren heroically resolved to rise in the name of the Lord and build greater. With great unanimity, they decided upon a substantial and commodious edifice of brown stone, upon a modern plan, with a seating capacity for fifteen hundred. With extraordinary energy, they have pushed the enterprise along, and expect to occupy the lecture room in May. The debt will be considerable, but the heroic zeal of the officiary commends them to the sympathy of the entire Conference. Notwithstanding their large enterprise, they paid all current expenses and raised more missionary money than ever before." 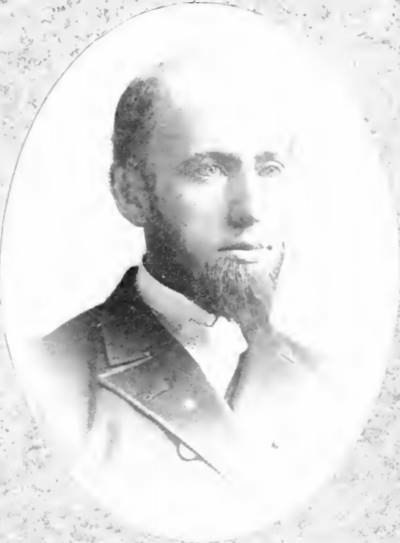 The moving spirit among the laymen in the new building enterprise was Walter M. Patton, the President of the Board of Trustees and the indefatigable superintendent of the Sunday School. With him, to think was to act. He was soon out on the street, soliciting subscriptions, and his faith enkindled the faith of others. He found, like the prophet of old, that the people had a mind to work. Among those who took part in the ceremony were Presiding Elder J. S. Gaskill, Revs. G. B. Wight, Dr. Charles H. Whitecar, A. K. Street, J. H. Payran, John W. Hickman, Pastor J. Y. Dobbins and Mr. Walter M. Patton. General Fisk was expected to lay the stone, but in his absence, the Presiding Elder performed the ceremony. To show with what zeal Mr. Patton had undertaken the work, 'we may state that he announced that day that he had pledges of $17,000 of the amount required. While the work of building was going on, the members worshipped in their mission church on State street and in Morgan's Hall, and the Sunday School met in the public school house near by, which had been kindly loaned for the purpose. Among the plans devised for raising the funds, we remember that Mr. Patton appealed to many of the Sunday Schools in this and other cities, promising that each school contributing fifty dollars, should have a stained glass memorial window in the new church. Among the schools contributing were several outside of the city. interesting address, and the Rev. Dr. O. H. Tiffany, pastor of the Spring Garden Methodist Episcopal Church, Philadelphia, delivered an able sermon from Psalms 132, 13-17. The dedicatory services were held in the evening, General Fisk being the principal speaker. The proceeds of that day amounted to $3,300. There was a good revival in January and February of 1887, and ninety probationers were received. 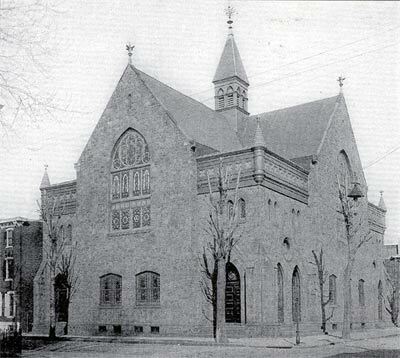 The main auditorium of the church was dedicated on Sunday morning, October 16th, 1887. Rev. H. A. Cleveland, D. D., of Philadelphia, delivered the dedicatory sermon, and Presiding Elder Relyea dedicated the church. In the afternoon, the Rev. W. H. Geistweit, pastor of the Linden Baptist Church, Rev. Dr. Whitecar and D. M. Mink delivered addresses. At the evening service, the pastor. Dr. Whitecar, Dr. John S. Heisler and W. C. Stockton took part. On the Monday evening following, the Rev. Isaac C. Wynn, D. D., of the First Baptist Church, preached the sermon, and on Tuesday evening, the Rev. 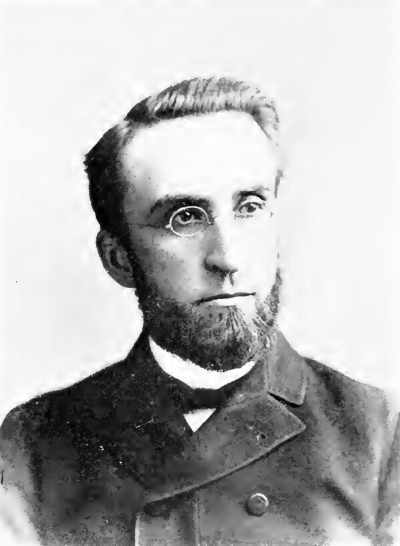 Marcus A. Brownson, of the First Presbyterian Church, occupied the pulpit. The cost of the church was $45,000. Its dimensions are ninety-six feet by seventy-six feet. The Sunday school departments have a seating capacity of about eight hundred; the main auditorium, including the gallery, a seating capacity of 1,500. The Board of Trustees at this time, consisted of Messrs. Walter M. Patton, President, E. A. Smith, James R. Carson, B. C. Bingham, H. B. Cheesman, L. H. Street, Robert Freeman, Charles Wolverton and W. Watson. The membership at the close of this pastorate was 620. In March, 1888, the Rev. 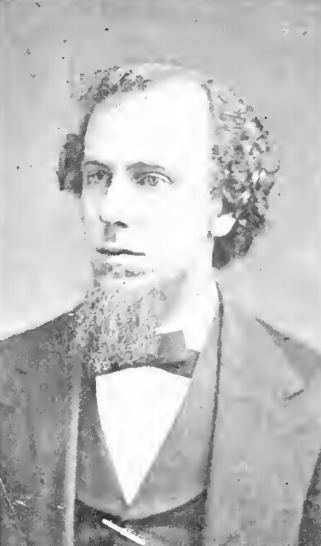 John Y. Dobbins, having served three years, was sent by the conference to Trenton, State Street Church, and the Rev. J. Leander Sooy was transferred from State Street Church, Trenton, to Tabernacle. The next four years was a most prosperous era in the history of the church. Pastor Sooy was no stranger to the city, having labored at Centenary Methodist Episcopal Church a few years before. On Sunday, April 1st, 1888, he commenced his ministry with the largest congregation in the history 'of the church, with the exception of Dedication Sunday. The salary was advanced to $1800. "When I became the pastor of this church, the building was in the sheriff's hands, and it was advertised for sale and the members were very much discouraged. The Presiding Elder told me it was about the toughest appointment in New Jersey, but that did not discourage me, for I felt that it was a most promising field, if the people could only pull through their difficulties and could have a chance. I well remember my first Sunday in Tabernacle. The congregation numbered seventy-five. Remembering that churches always have their largest congregation on the first Sunday to hear the new preacher, it was not an encouraging outlook for the future. I gave out the hymn. There was no choir present, and three persons started different tunes. I do not remember who came out best. I had three years of very hard work. The coal was not paid for. The sexton had had no salary for years. The attendance, however, doubled the second Sunday and kept on increasing. About that time, I put my ecclesiastical arm in that of a young man, and induced him to take the position of precentor. That young man was paying his addresses to a young lady at Salem, and I bad the pleasure of uniting them in marriage. From that time on, Brother Walter M. Patton has given his best thought and his best efforts to Tabernacle. I am not sure but that they would find ''Tabernacle" written upon his heart, but I am sure that he has made his life noble by his efforts to supply the needs of the church. I can not remember all the names inscribed on that roll of honor of the Official Board, but I do think of Brother Willets and also Brother Danenhower. There was Brother James R. Carson, too, who always reminds me of the lead horse, whose thoughts are always in advance, and who generally thinks twice to everybody else's once. Then there was Brother Cheesman. I remember his singing. It seemed to me. When it was thundering. Brother Cheesman could put the blush on the thunder. After awhile. Brother Vogt used to bring in flowers, and he never neglected it one Sunday while I was pastor. There was some trouble in raising money at first, but I remember asking the congregation for six hundred dollars, and in twenty- five minutes eight hundred dollars was promised. This gave confidence to the general public, and the church had no difficulty in securing credit afterwards. I remember preaching one evening upon "Hell" and a young man who was present went home and told his aunt that that was the first sermon he ever listened to. That led to his conversion, and he began to study and became a missionary, and now Bro. Stevens is doing a good work. Tabernacle Church, in spite of its embarrassments, has been making a record of which they need not be ashamed. But if the record appears to me to be a grand one, who has known it a few years, what must it be to the Angels of God, who have known it for twenty-eight years? But the most sublime moment in the history of Tabernacle was just after the cyclone, when the Board of Trustees (with the knowledge that there was a debt on the old building) said: "Let us build a good church on the old site." I believe that if ever the angels applauded, it was then." At the second Anniversary of the new building, 1889, the Rev. 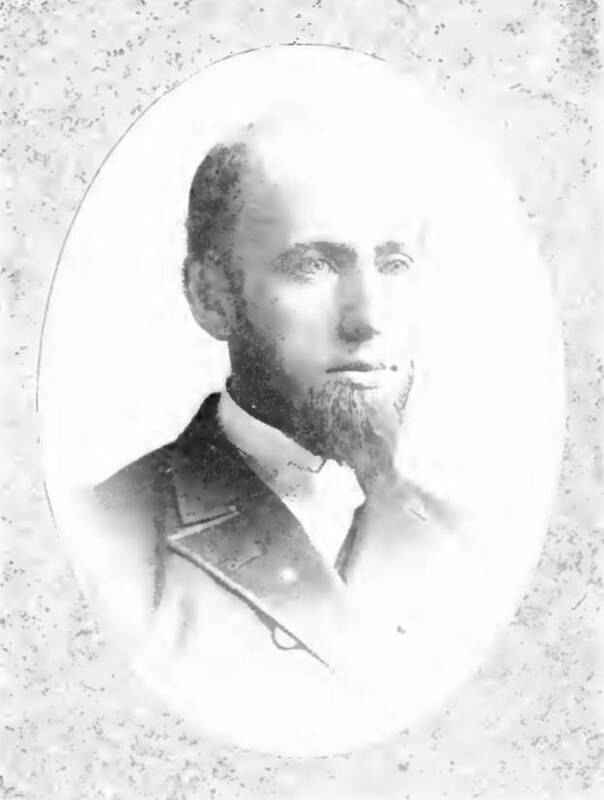 W. D. Couch, of New York, occupied the pulpit. Eight hundred dollars was raised in the church, and $1,700 in the Sunday School. Rev. J. L. Sooy was very popular with the young people. His children's band on Friday afternoon was one of the events of the week, and was attended by children of all denominations. 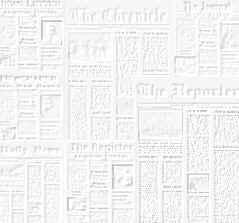 The Epworth League was organized during this pastorate — the date of the charter is January 27, 1890 — and grew rapidly in numbers and usefulness in the church work. In the spring of 1890, about sixty members of the church received their letters. Bishop Woodsell and the New Jersey Conference set them off as a separate charge. This was the beginning of the State Street Church, the Rev. C. E. P. Mayhew being the first pastor. Patton in the Church and Sabbath School, where he had labored for so many years. The church had more than once leaned very heavily on Brother Patton. He had been with them when cyclones inside and outside the church had come, and they all felt that our beautiful church was a standing monument to his energy. The Sunday School was represented by Mr. E. A. Smith, who also spoke of the good work of the Superintendent. Rev. Edmund Hewitt, pastor of the Broadway Methodist Episcopal church, bore testimony to the faithfulness of Mr. Patton. He said, "I am glad to hear these addresses. It is thirteen years since I first became acquainted with Brother Patton. I believe my own success has been greater because of my association with him. One reason of his success as Superintendent comes from the fact that when traveling on the cars or on the train, you may find him studying the next Sunday's lesson, and after a hard day's work in the city, you may find him poring over those lessons far into the night, when most of us are asleep. He has given his time, his money, and his powers to the Sunday School. Although he has attained his fiftieth year, he has not grown old. His mind is rich and fertile in ideas. He has lived on the sunny side of life. We hope he may live many more years, and be a blessing to the Sunday School. Brother John E. Rosselle was the next speaker, and presented. Mr. Patton with a beautiful floral piece. The figures upon it told that in 1875, when Mr. Patton was elected Superintendent, the membership of the school was 225, now the figures were 632. Wandering from the fold of God." I want you all to pray for me, and still to put up with my weakness. If I should live ten years more, and I expect to live that time, I prophesy that the debt on this church will be extinguished. Coming across the ferry today, I remembered the first time I crossed the Delaware, in May, 1850, at ten years of age, when the population of Camden was not more than 10,000. For twenty-four years, I was connected with the Fifth Street Methodist Episcopal Sunday School. In the spring of 1874, Providence directed me to Tabernacle. I thank you for your hearty reception tonight." During the fourth year of Rev. J. L. Sooy's pastorate, Mr. Walter M. Patton very generously offered one hundred and fifty dollars a month for the year, provided the Sunday school would raise a similar amount, for the reduction of the debt. It was decided to accept the offer. It was during this year that the Gloucester racetrack was ruining its thousands, and Pastor Sooy delivered some of the most ringing sermons against this outrage, making the politicians mad. He did splendid service in the Citizen's League and the Law and Order Society. About this time, Brother L. H. Street, the druggist died, and the church lost a valuable helper, as it did in the death of D. Somers Risley, which occurred a little later. 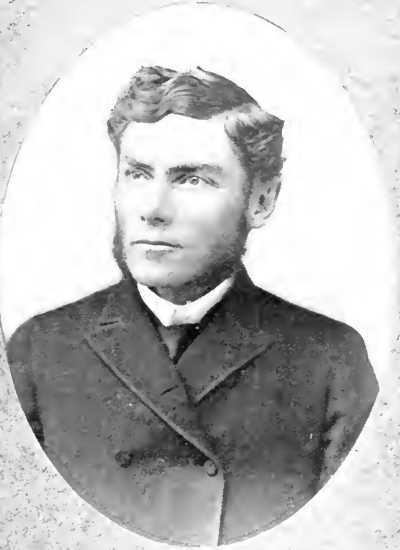 In February, 1892, Rev. J. L. Sooy and Walter M. Patton, went with an immense delegation of citizens from all parts of the state, to protest against the infamous racetrack bills, which William J. Thompson was trying to get through the State Legislature. The State House was densely crowded, and a remarkable demonstration took place. Mr. Sooy was one of a committee of five to draw up resolutions. 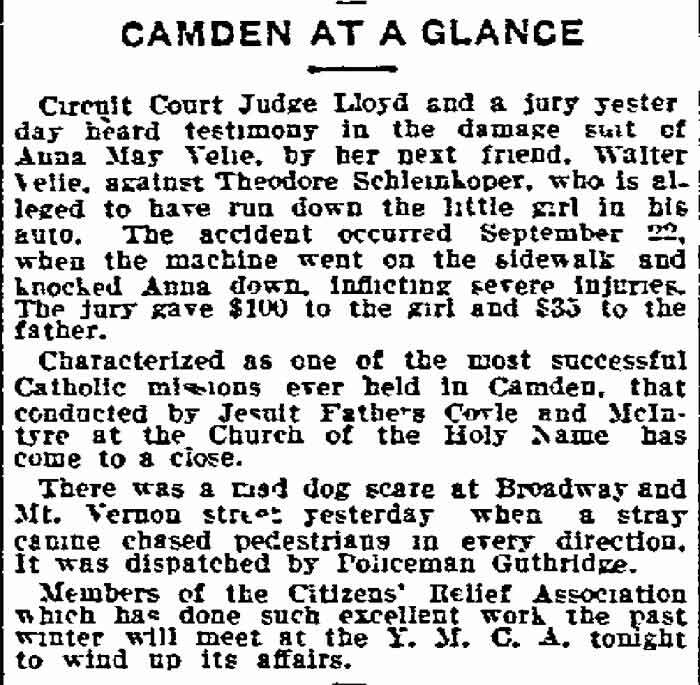 In the spring of 1892, Pastor Sooy closed his labors in Camden. The Children's Band, through Mrs. C. M. Doughty, presented him with a gold watch as a mark of their esteem. During the four years, he received into the church a large number, both by letter and on probation, the largest ingathering being 139 on probation during his first year. The splendid ingatherings increased the membership to 726, at the close of his pastorate. Nearly nine thousand dollars was raised for church debt. The last Sabbath with Mr. Sooy, brought out an immense audience. In the Sunday School, he was presented with a portrait of Mr. Patton. The farewell sermon was delivered from First Corinthians, 16:10, " Now if Timotheus come, see that he may be with you without fear, for he worketh the work of the Lord, as I also do." Mr. Sooy left the city for Des Moines, Iowa, followed by the love of the entire membership. The Rev. Wm. P. Davis was the next pastor. He served the church faithfully for two years, and left many friends at the end of his term. About this time, an event occurred which may be recorded here as Mr. Walter M. Patton was the prime mover in the enterprise. There was a great famine in Russia, and Mr. Patton appealed to the Sunday Schools of the city, to take an offering to send flour to the needy people. The offering was taken on Sunday April 3rd, 1892, and the splendid sum of $825.74 was received. The American Line Steamer, "Oonemaugh," sailed on Saturday, April 23rd, with the flour for the sufferers. Prof. Van Hart was the chorister at this time, and R. R. Longland, the organist. Rev. W. P. Davis preached his farewell sermon on Sunday evening, March the 11th, 1894. His theme was, ''The Church and the Saloon." The membership was 681. Rev. 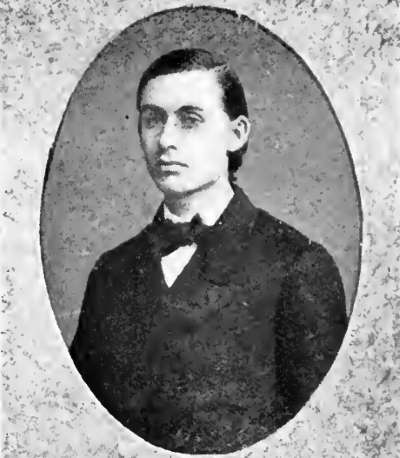 William P. Davis, D.D. 1894 The Conference that spring, by request, sent to the Church one of its old pastors. Rev. Edmund Hewitt, who had been laboring so successfully at Broadway church, of this city. It was just fourteen years since he left this pastorate, and it was like coming home again. The Tabernacle Junior Epworth League was organized this year. On Sunday, March 17th, 1895, a service of interesting character took place in the Sunday school. It was to commemorate the one-thousandth Sunday that Mr. Walter M. Patton had served as its Superintendent. Jacob Danenhower and James R. Carson, former superintendents, and Pastor Edmund Hewitt, delivered addresses. 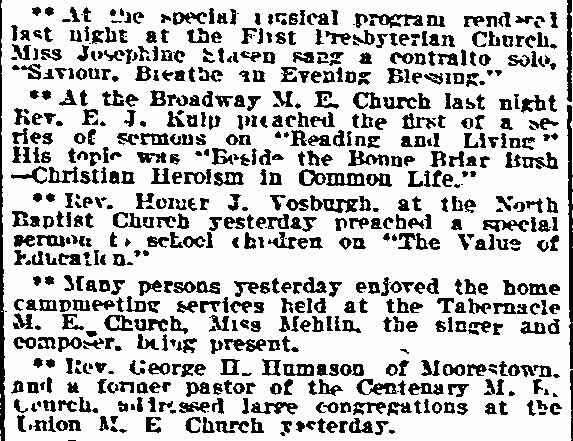 Carlton M. Williams brought the greetings of the First Presbyterian Sunday School, and F. W. Ayer, the greetings of the North Baptist School. Mr. Patton replied in a touching address, referring feelingly to those who had recently crossed the river. He also referred to Brother Stevens, laboring in India, and Brother Lewis Heib, who was going to labor in Ceylon. In June, 1895, an improvement fund was started in the church to put in a new organ, and the first installment was paid in to Mr. Walter W. Cook, the Treasurer. On Monday evening, November 25th, 1895, the new pipe organ was opened with a great recital by S. Tudor Strang, assisted by the Orpheus quartette. Many other improvements to the church were made. These improvements, including the grand pipe organ, which cost $4,500, making the alterations in the church for the organ location, painting and decorating, new chandeliers and other furnishings, cost in the neighborhood of ten thousand dollars. At the beginning of the year 1896, Rev. Thomas Harrison, known as the "Boy Preacher," assisted in Revival Services, continuing for eight weeks. The singing was in charge of Mr. and Mrs. Harry Loper, the singing evangelists, who had been for some time members of Tabernacle Church. They rendered very efficient service in the Revival. The whole of North Camden was mightily stirred. A great number of people were converted, and one hundred and seventy were received into the church on probation. This year Mr. Patton had to give up his work in Tabernacle because of ill health. Acting upon the advice of his physicians, he removed from Camden, and took up his residence in Wayne, Pa. Farewell services were conducted in the Sunday School on Sunday, June 14th. The speakers were Pastor Hewitt, James R. Carson and Mr. Patton. A gold watch was presented to Mr. Patton, and a diamond brooch to his wife, as tokens of the regard in which they were held. Howard I. Branson became superintendent of the Sunday School, and Mr. Patton held the position of honorary superintendent. Three months after the removal to Wayne, Mrs. Patton died, and her funeral was preached in Tabernacle Church. The Church was filled with the friends of these faithful servants of God. Mr. R. R. Longland, the organist at one time and a very useful member of the church, died in February, 1897. The following month chronicles the death of James R. Carson, who had rendered such valuable service to the church for twenty-seven years. Mr. Carson died in the prime of life, having served the church in almost every capacity. The funeral service was largely attended, and among the speakers were former pastors, S. E. Post and J. S. Heisler, who told of the many virtues of the deceased, as did also Rev. Edmund Hewitt, the pastor. The pastor said, "Brother Carson joined the Tabernacle Church the first day of October, 1865. He has served as class leader, steward, superintendent of the Sunday school and trustee. 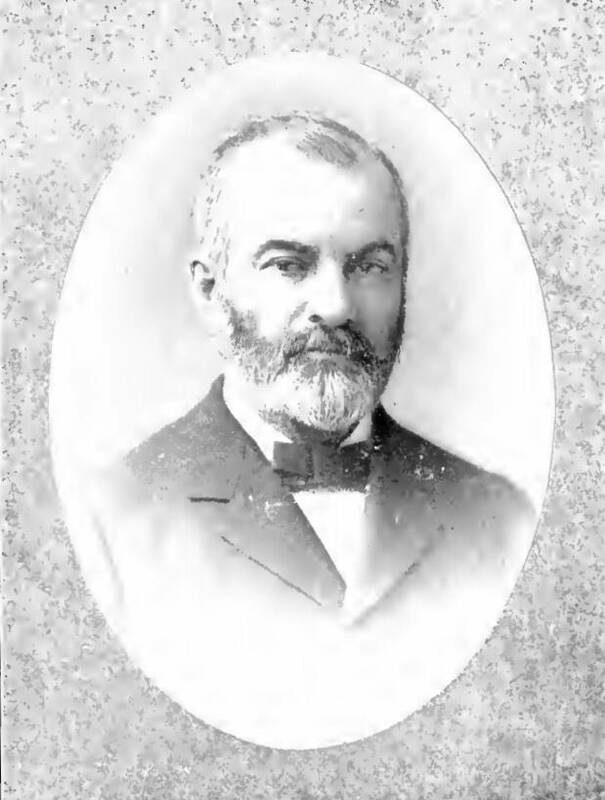 Mr. Carson was President of the Board of Trustees at the time of his death. The Official Board, led by Mr. Walter M. Patton, gathered around the casket, and sang, "Blest Be the Tie That Binds." The funeral was one of the largest ever held in the church. On March 5th, 1899, Edmund Hewitt having served the full time limit of five years, preached his farewell sermon. His text was : "For here we have no continuing city, we seek one to come." He received four hundred and sixty-seven members into the church during the five years, and when he left, the membership was seven hundred and seventy-five full members. The next pastor was Rev. James Moore, who served the church faithfully for two years. He was generally considered one of the best preachers of the New Jersey Conference. The Twentieth Century Thank Offerings, taken during Dr. Moore's last year, amounted to $1,000. membership at this time was 556.
the principal speakers. The people of Camden were greatly delighted to greet these former pastors. Henry B. Cheesman, the veteran class leader, died December 28tli, 1903. lie had rendered the church royal service, and was loved by all who knew him. addition to what he had given previous to that time. He carried out fully John Wesley's motto, "Earn all you can; save all you can, and give all you can." On March 24th, 1904, a reception was tendered to Mrs. Clara M. Doughty, upon the completion of twenty-five years of service in the primary and kindergarten departments of the Sunday School of our church. 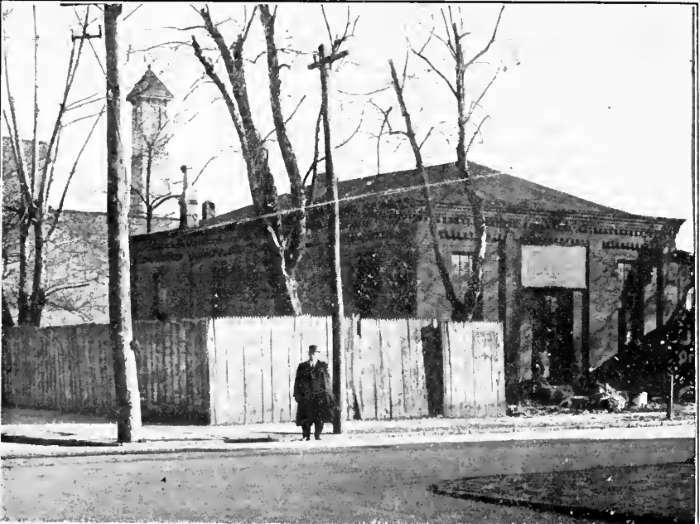 In October, 1904, the Tabernacle Church Bazaar was held in the Railroad Y. M. C. A. Hall, the net proceeds of which were over ten hundred and fifteen dollars. The President of the Bazaar Association was Mr. Wesley H. Dobbins, who with his faithful corps of workers were congratulated on the great success of the enterprise. On December 1st, the Epworth League held a banquet, celebrating the result of a contest that brought in over three hundred new members. The banquet was enjoyed by over four hundred Epworth Leaguers. Toward the close of Rev. W. P. C. Strickland's term of three years' service, the congregation honored him and his wife by celebrating their Twenty-fifth Wedding Anniversary, presenting them a case of silverware. The membership at the close of Dr. Strickland's pastorate numbered six hundred and nineteen. 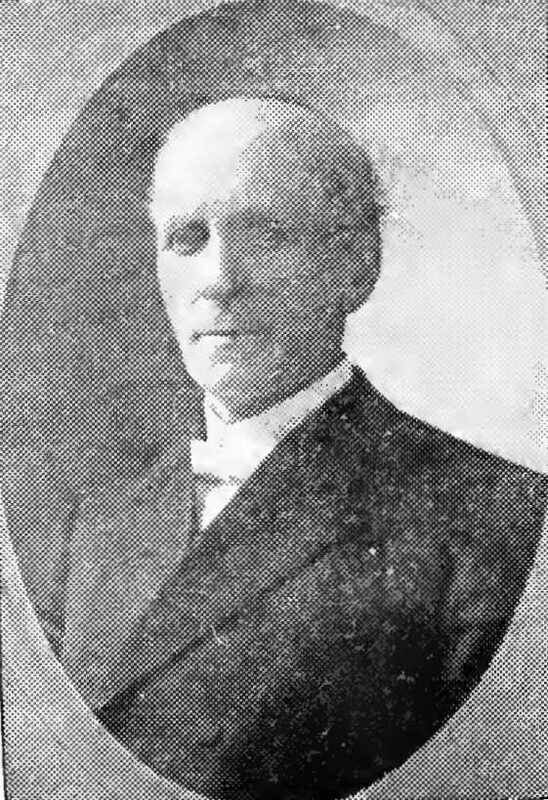 In 1906 Rev. J. D. Bills was appointed to Tabernacle M. E. Church upon the unanimous invitation of the Official Board, and was given an enthusiastic welcome at his reception by the whole membership. At the First Official Board Meeting held April 26, 1906 a committee on Aggressive Evangelism was appointed, which has greatly stimulated the spiritual life of the church. Evangelistic services have been held by this committee in the Lecture Room every Sabbath evening, at the close of the church service, and many have been brought to Christ through these efforts. getting men saved, and in a material way, they marked their first year's usefulness by contributing one hundred and fifty dollars for a trolley partition, making a new room for the Kindergarten Department of the Sunday school. The Sunday Afternoon Pentecostal and Evangelistic Service was begun June 3rd, 1906. One man professed conversion at the first service, and many have been saved in it since. The Shoppers' Saturday Night Gospel Mission was organized on June 30th 1906, in one of the class-rooms, and has been a blessing to an average attendance of about a half hundred people, and some have professed conversion. The year was further noted for the fine course of entertainments, under the auspices of the Epworth League, including Bishop Charles C. McCabe, in his great lecture on "The Bright Side of Life in Libby Prison." 1907 The year 1907 witnessed a good revival, during the month of January. There were many saved, and one hundred and thirty three united with the church. This year the new Methodist Hymnal was put in, and the old Hymnals were given away. The new books were the greatly appreciated gift of the Ushers Union, who had realized one hundred and seventy-five dollars from a supper and devoted the proceeds to this cause. The first gift was supplemented by one from the Junior Choir and a subscription from the people, providing all the Hymnals necessary. A "Woman's Thousand Dollar Club" was organized, with Mrs. R. B. Doughty at its head, to raise money for Church Improvement. 1908 The year 1908 was an eventful year. Building Loan Stock to the amount of $6,000.00 matured ; the $12,000.00 mortgage on the church was cut in half, and thirty shares of Building Loan Stock taken, to cover the last of the debt on the church. The Main Audience Room and Vestibules were re-painted and beautifully decorated, also, a new Choir Gallery provided to accommodate one hundred singers. Two new stained glass windows were put in, in place of temporary wooden structures, thus completing the church edifice. The cost of these improvements was something over $2000. The Women's Club contributed $1,000.00 to the Improvement Fund. The committee in charge of the improvements were E. A. Freeman, S. P. Jones and W. H. Dobbins. The Tabernacle Church Chorus was formed and adopted Constitution and by-laws, on October 2nd, 1908. The following are the officers : President, B. A. Freeman ; Vice-President, B. P. Ackley; Secretaries, Mrs. R. B. Doughty and Mrs. John P. Briggs. The Chorus numbers eighty members. The musical director is Prof. Elwood Crauthamel. Mrs. Garrison is organist. A beautiful Individual Cup Communion Service, costing one hundred and thirty dollars, was presented on the first Sabbath of November, by the professional men of the church. 1909 The Conference year of 1909 opened with an enthusiastic reception to the Rev. J. D. Bills, upon his return for the fourth year. The reception was held April 7th, and the pastor was presented a gold watch and fob, in recognition of his services and the esteem of the people. The funeral of Isaac T. Woodrow, an early member and official in the church, and for thirty years the janitor, was held in the church on May 3, 1909. The officials were the pall bearers and the services were largely attended by the members of the church. hundred dollars were subscribed during the day, to be paid in before the Fiftieth Anniversary. 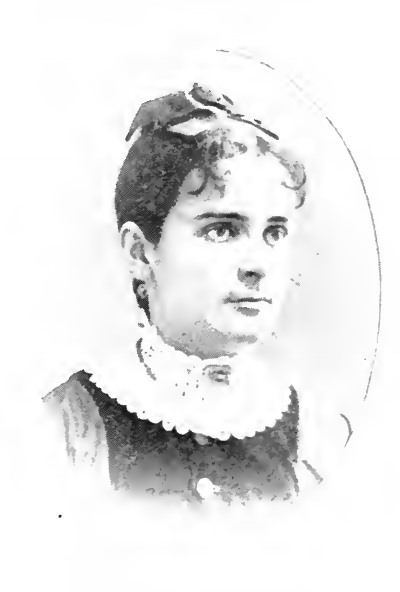 The women of the church have organized a "Ten Times Ten Club," with Mrs. C. M. Doughty as President. They will pay in to the Church Treasury, six hundred dollars before the Semi-Centennial, November, 1910 — the money to be used for refurnishing the parsonage. The pastor has been given a unanimous invitation for the fifth time, and is expected to return for the fifth year. here are many of them the children of faithful members and officials in the first years of our church's history. The families of James R. Carson, A. B. Mathis, George Hirst, Jonathan High, John M. Hall, John T. Hunter and others are still represented in the official board and membership of the church. Samuel E. Post, having served Tabernacle as pastor, and later as Presiding Elder of Camden District, has been associated with the church for several years now, by holding his Quarterly Conference relation with the Tabernacle Quarterly Conference. He is now in his 93rd year. The Sunday school at the present time, numbers over one thousand scholars. It is thoroughly organized, with Prof. Richard B. Doughty as General Superintendent. The Cradle Roll, Beginners and Primary departments are in charge of Mrs. R. B. Doughty, assisted by sixty-four "Mothers." These mothers first entered the department with their infant children, and became so closely associated with the work that they have been organized as the ''Mothers' Association." The work they do is varied, and throuh their efforts, the work of this whole department is self-supporting. The Mothers' Association, like many other important organizations, had a small beginning, and was the result of an emergency. A young mother, who had been a Sunday school girl, returned to the school with her infant child. One day she brought her baby to the door of the Infant department and said, "Where am I to go, they don't want this baby upstairs?" Mrs. Doughty took both the mother and infant into her department, and at once conceived the idea of extending an invitation to all the mothers of the church, to bring their babies into the Kindergarten department. Mrs. Doughty is also a pioneer in the Cradle Roll work. The Tabernacle Cradle Roll was the first in Methodism, and there is only one other claimant to first honors in any church in the history of Cradle Roll work. Mrs. Doughty first began her work with the infants of Tabernacle Sunday school thirty years ago, as Miss Clara M. Branson. She has developed this department of the school, until it now numbers about 400 children, thoroughly organized and graded, and self-supporting. Ralston Hirst is chorister in this department. The Junior department is in charge of Mrs. John P. Briggs, formerly Miss Maggie A. Stiles, a Tabernacle girl herself. She is an efficient worker in many lines of church enterprise. With her fifteen helpers and splendidly organized department, the most modern methods and up-to-date apparatus, the Junior department is one of the best. The Intermediate department is in charge of Mrs. Edwin Robinson, formerly Miss Helen Jeffers, is also fully abreast of the times and splendidly managed. Mrs. Robinson has been associated with the church as a leader in young people' work for a number of years. All these departments are located on the first floor of the building. The Senior and Adult departments in charge of Mrs. Harry P. Sayford and Colonel H. M. Avis, respectively, hold their sessions in the Main Auditorium of the church. Mrs. Sayford is prominent in educational circles, and Colonel Avis has been a Sunday school enthusiast all his life. Under the able direction of the general superintendent, these leaders, assisted by an able corps of officers and teachers, these departments are doing the most advanced Sunday school work. So this Sunday school, which started fifty years ago as an itinerant outdoor mission enterprise, under the willows which grew on the banks of the Delaware, has become one of the largest, best- equipped, thoroughly organized, and most widely known schools in Methodism. The following have filled the position of Sunday school superintendents: Hampton Williams, 1 year; Jacob Danenhower, 8 years ; Barclay C. Bingham, 2 years ; James R. Carson, 2 years; Walter M. Patton 24 years; Howard I. Branson. 2 years ; Charles S. Wolverton, 3 years ; Charles Bowden, 2 years; Richard B. Doughty, 5 years. Superintendents of the Infants' school and Kindergarten departments : Mrs. Carter, 1860-1868 ; Mrs. Ella S. Parsons, 1868-1879; Mrs. Clara M. Doughty, 1879-1909. Mrs. Doughty has served the Sunday school full thirty years, and we are proud of her record. The best Kindergarten teacher in the New Jersey Conference, we believe. A number of people have gone out from Tabernacle to do missionary work and to preach the gospel, and many formerly connected with the church and Sunday school are filling important places in different parts of the world. There is room for only a few names in this short history. Among the present members of the New Jersey Conference are three who received their exhorters licenses while connected with Tabernacle a number of years ago, W. A. Lilley, and J. Richards Thompson during the pastorate of Rev. S. E. Post and J. G. Edwards during the pastorate of Edmund Hewitt (first time). These men also served this church in other official capacities besides that of exhorter: J. R. Thompson and W. A. Lilly as stewards, and J. G. Edwards as musical director for four years. ministry from this church. William Grum grew up in Tabernacle church was licensed to preach under the pastorate of Dr. James Moore, his grandfather, Jonathan High was one of the first class leaders of this church, and his mother was converted at the Tabernacle altar. another Tabernacle boy. Joseph A. Jeffers now a member of the Baltimore Conference, also received his license as exhorter and local preacher at Tabernacle. Reference has been made in this history to two other Tabernacle boys, William H. Stevens for many years and still a successful missionary in India, and Louis Heib now at Burlington Vt., and state secretary of the Y. M. C. A. Several Tabernacle men are doing supply work as pastors of churches, including Franklin Haley, and John A. Naylor both successful preachers of the Gospel. At the present time two young men of this church are in college preparing for the gospel ministry: Albert G. Judd, at Dickinson, and Charles S. Fees, at Syracuse University. Tabernacle has always been a Class-meeting church. Among the records of the church may be found the names of many men who have served the organization as Class leaders, including the following: — George Hume, leader of the Class from which the society grew. 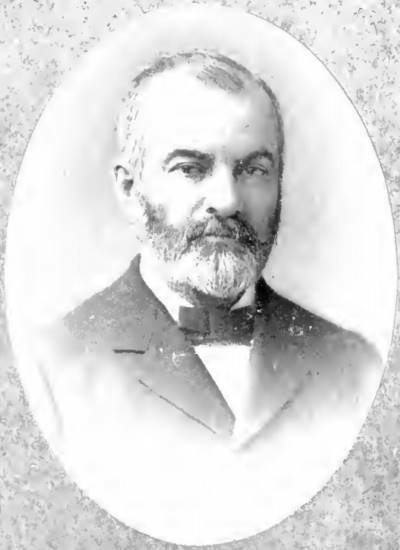 Henry B. Cheesman, appointed at the first Quarterly Conference. Rev. Riley Barrett, James Beck, Andrew D. Oothout, Jacob Danenhower, George Deakyne, Michael Peterson, Thomas R. Allen, Jonathan High, P. B. At the end of the first decade there were seven Class meetings and the above leaders had served. 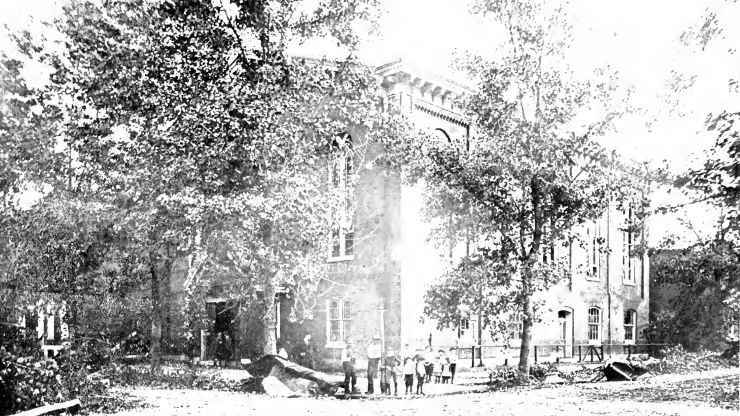 The number of classes were increased during the year 1870 to fourteen and the following were appointed : James R. Carson, William Cole, R. T. Lore, Virgil Willett, J. W. Core, J. D. Jones, Barclay C. Bingham. The Class leaders collected the pastor's salary in those days. The number of Classes were soon reduced to about eight. The names following were appointed after 1870, and the list is probably incomplete : William P. Brewin, Daniel Richards, Charles Bowden, William A. Lilley, John J. Pierson, Theodore Corson, Caleb Ross, Walter M. Patton, George DeMaris, John W. McCormick, Joshua Tushingham, John T. Stewart, Jos. G. Edwards, Edward Evans, John H. Zipler, Samuel H. Fish, John Crowley, William Allston, William E. Townsend, Harry Loper, Mark L. C. Wilde, Joseph D. Johnson, William P. Partenheimer, Miss Helen Jeffers, Mrs. Sallie Bowden, Issac J. Rhodes, Archie C. Harris, Allen Sinclair, Fred. Beck, Franklin Haley, John C. Kelley, John H. Robinson, Howard F. Cline, and John A. Robins. Local Preachers : — John A. Naylor, 332 N. 9th St. ; I. J. Rhodes, 537 Bailey St.; Theodore Peacock, 932 N. 5th St.; Harry Loper, Collingswood, N. J.; Thomas Maslin, Perkasie, Pa.; Albert Judd, Carlisle, Pa.; Franklin Haley, 536 Erie St.
Exhorters : — Thos. E. Simpson, 613 State St.; James S. Pratt, 513 Vine St.; Edwin Robinson, 314 Elm St.
Class Leaders : — Allan Sinclair, 627 State St.; Frederick Beck, 511 Vine St.; J. C. Kelley, 825 N. 5th St.; Franklin Haley, 536 Erie St.; J. H. Robinson, 917 Howard St.; Howard F. Cline, 620 N. 7th St.; John A. Robins, 422 Pearl St. ; Rev. J. D. Bills. Trustees :— W. H. Dobbins, 516 N. 4th St.; E. A. Freeman, 410 N. 4th St.; S. P. Jones, 328 Cooper St.; H. C. Garrison, 428 N. 5th St.; R. B. Doughty, 413 Elm St.; Walter W. Cook, 420 Pearl St.; B. P. Ackley, 216 Vine St.; James H. Hewitt, 500 State St.; Charles S. Wolverton, 601 State St.
Stewards :— N. S. Goff , Linden St.; Lewis H. Lake, 702 Linden St.; John H. Stiles, 604 N. 4th St. ; Edwin A. Stone, 433 Carteret St.; John Rhoads, 610 N. 4th. ; Henry C. Thomas, 533 N. 7th St.; F. S. Warren, 527 Penn St.; Robert J. Hill, 314 Vine St.; Alfred Taylor, 538 Elm St.; J. A. Carson, 3rd and Birch Sts. ; North Davis, 822 N. 4th St.; W. H. Stowe, 624 State St.; Harry R. Curtis, 532 Vine St.; Jos. D. Johnson, 703 N. 2nd St. : W. P. Partenheimer, 631 State St.; Hazlet F. Owens, 309 Cole St.; Edgar Y. Dobbins, 312 York St.; Chas. F. Heil, 59 York St. ; Harry A. Hewitt, 500 State St.; John W. Albers, 322 Elm St.
President of the Epworth League : — Boyd N. Sheppard, 509 Vine St. Superintendent of Junior League : — Mrs. M. C. Judd, 522 Elm St.
President Ladies' Aid: — Mrs. R. B. Doughty. The following preachers have served Tabernacle church : Rev. W. S. Barnart, 1 year, 1861 ; Rev. Levi Larew, 2 years, 1862-63 ; Rev. J. H. Stockton, 2 years, 1864-65 ; Rev. James White, 1 year 1866 ; Rev. John W. Hickman, 3 years, 1867-68-69 ; Rev. Samuel E. Post, 3 years, 1870-71-72 ; Rev. C. K. Fleming, 1 year, 1873; Rev. George K. Morris, 3 years, 1874-75-76 ; Rev. 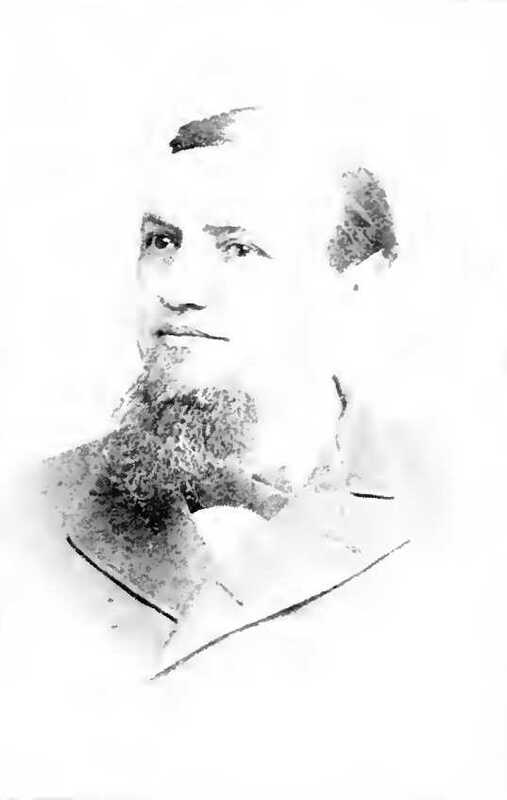 Edmund Hewitt, 3 years 1877-78-79 ; Rev. G. S. Sykes, 2 years, 1880-81; John S. Heisler, 3 years, 1882-83-84; Rev. 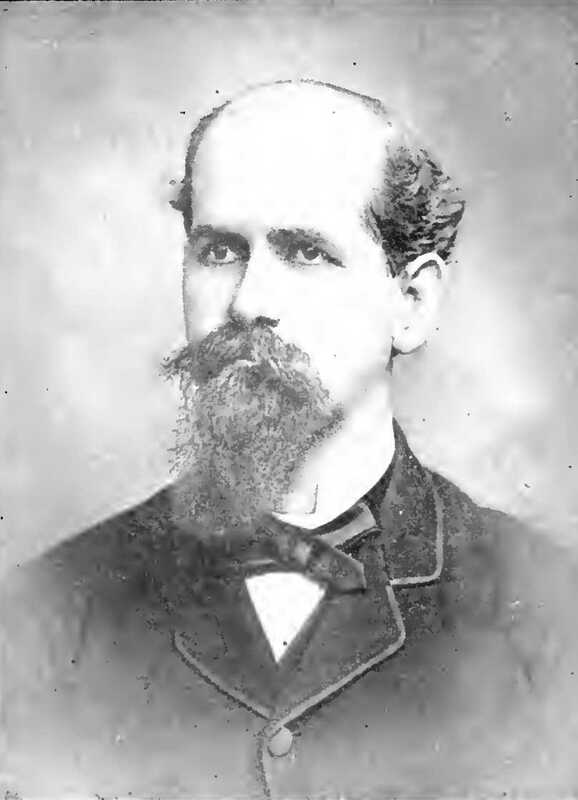 John Y. Dobbins, 3 years, 1885-86-87; Rev. 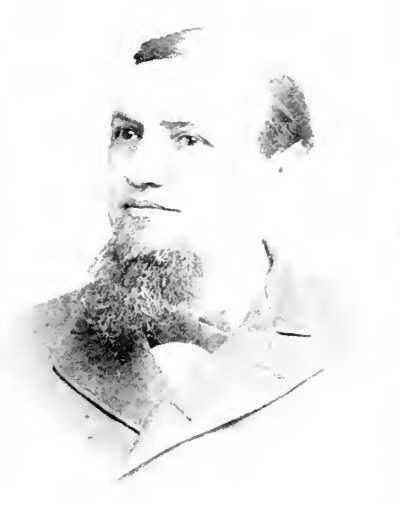 J. Leander Sooy, 4 years, 1888-89-90-91 ; Rev. Wm. 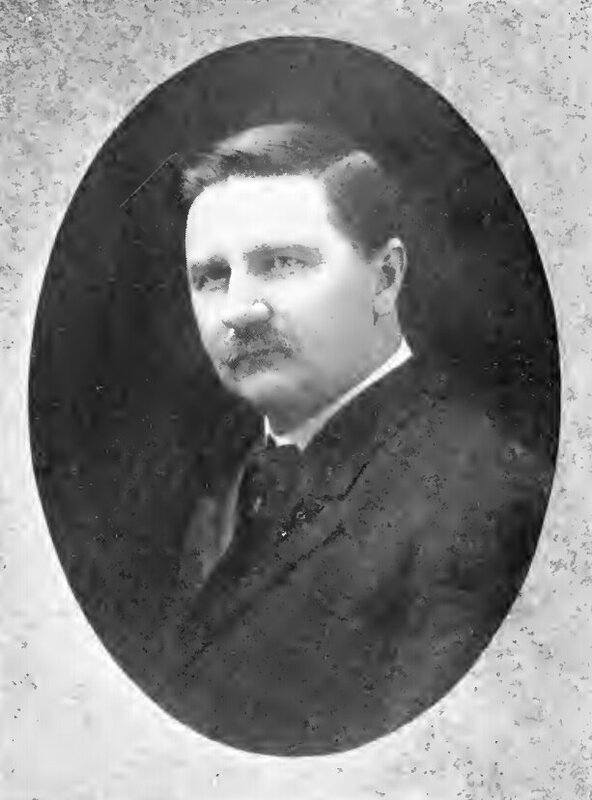 P. Davis, 2 years, 1892-93; Rev. Edmund Hewitt, 5 years, 1894, 95-96-97-98 ; Rev. James Moore, 2 years, 1899- 1900 ; Rev. Joseph G. Reed, 2 years, 1901-02 ; Rev. W. P. C. Strickland, 3 years, 1903-04-05; Rev. James D. Bills, 4 years, 1906-07-08-09. Associated with the pastor at the present time are, Rev. S. E. Post, and Rev. G. H. Tullis, members of the Tabernacle Quarterly Conference. 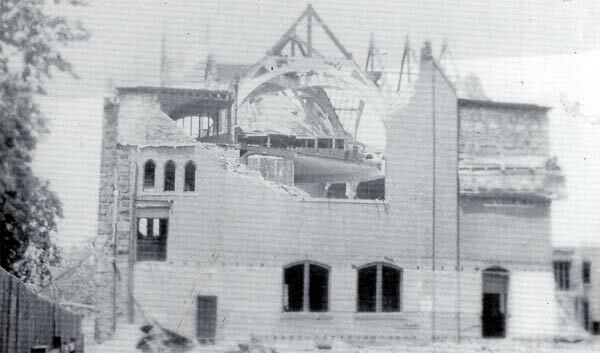 1924 photo shows the church building partially demolished.